The Life Fitness elliptical cross trainer FS6 with its unquie combination of minimal space requirements, innovative design and outstanding functionality is more than just a cross trainer. The SideDrive™ system gives you natural motion during training and the smart console shows your training results on its premium colour touch screen. The high-quality FlexStrider is the optimal training partner for everyone who needs freedom while doing cardio training in order to combine walking and running, i.e.. Thanks to the Variable Stride Trainer, you have the possibility to switch between short walking step and long running step by adapting your speed and stride length. The sturdy FlexStrider guarantees a join-gentle whole body training and offers best training motivation with wide-range entertainment and program features. 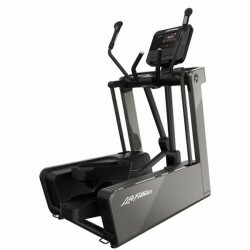 The Crosstrainer FS4 brings Life Fitness into a new design style of fitness equipment. The crosstrainer fits into every house and style. But also the expected high technical standards, developed course of motion and motivational programs from Life Fitness are still present. The Life Fitness Platinum Club Series sets standards. 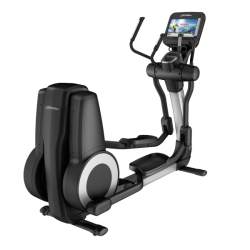 The Life Fitness elliptical cross trainer Platinum Club Series SE combines impressive possibilities of digital technology with excellent mechanics and ergonomics. 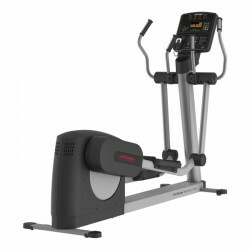 Besides the combination of entertainment and stamina training, the Life Fitness elliptical cross trainer Platinum Club Series SE offers quality and durability, for which Life Fitness has been well-known since a long time. The experiences, Life Fitness has collected in the production of high-quality gym fitness equipment for decades, are transmitted to home use with the Life Fitness CSXH Club Series elliptical cross trainer. 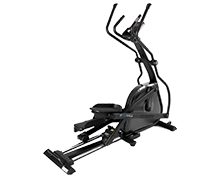 Compared to its predecessor, the Life Fitness CSX elliptical cross trainer, the Life Fitness CSXH Club Series elliptical cross trainer has won in performance once again. The Life Fitness CSXH Club Series elliptical cross trainer presents a generator drive for energy-saving training, an improved movement quality with a stride length of 51 cm (instead of former 46 cm) as well as an optimized equipment of digital hand pulse sensors. It remained the convincing quality, the well-thought out technology, and the ergonomic training. - 51 cm stride length for increased muscle activity and improved concentric run! 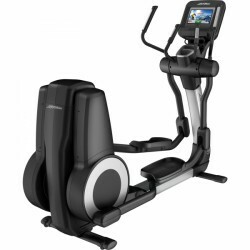 With the Track console, the successor Life Fitness elliptical cross trainer E1 Track Connect is compatible with many smartphones and tablets - even more training possibilities are made available. 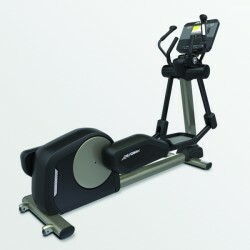 Furthermore, the elliptical cross trainer offers a well-thought out design with a very natural, comfortable movement. The Life Fitness elliptical cross trainer E1 Go offers a joint-gentle, effective whole body training. The high-quality elliptical cross trainer ensures a very comfortable, natural movement and a long durability. Thanks to the WhisperStride technology, the E1 Go is super silent. I am very happy with this purchase. The machine is stable, totally quiet, and friendly. Very good ergonomics for the legs and hands and the display provides all the info you need plus it has heart rate wireless and many programs in various levels so any user can find his personal training style. Highly recommended. The elliptical cross trainers of Life Fitness present a first-class commercial quality at home. The worldwide leading manufacturer of fitness machines, Life Fitness, continuously works on further innovations. 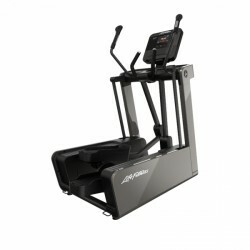 Life Fitness develops high-quality fitness machines for users of all fitness levels. The Life Fitness E series of elliptical cross trainers includes three high-quality, elliptical cross trainers: E1, E3, and E5. Due to an unbelievably silent course of motion and the striking precious design, the elliptical cross trainers of the Life Fitness E series can be perfectly integrated in every living concept. Thanks to the patented WhisperStride technology, the elliptical cross trainers allow a natural, effective, and soft whole body training for every user. The elliptical cross trainer E1 is the price introduction, which offers an attractive basic functionality for a joint-gentle whole body training. The sturdy elliptical cross trainer provides a stride length of 51 cm. The space between the treads of just 4.6 cm ensures a very comfortable movement, which is very close to natural movement patterns. Malpositions of hip and knee are prevented. The elliptical cross trainer E3 is the big brother of the successful E1. Compared to the E1, the E3 offers further advantages, which make the training more comfortable and more attractive. The Life Fitness elliptical cross trainer E3 is equipped with ergonomically shaped handles with integrated resistance control (electronically adjustable in 20 levels) and heart rate hand sensors. The heart rate is measured via hand pulse sensors or a chest strap (included). Further advantages of the E3 are the nonslip and absorbed treads, which provide a safe and comfortable stand. The top model of the Life Fitness E series is the elliptical cross trainer E5. The highlight of the E5 is the electronical stride length adjustment. Being equipped with it, the E5 ensures a joint-gentle training for the whole family. Thanks to this function, the stride length can be adapted to the height of every user. The E5 is thus ideal for small and tall users of more than 2 m. In addition, the electronic stride length adjustment makes a simulation of different running speeds possible like, i. e., running or jogging. All three elliptical cross trainers of the Life Fitness E series are available with the Track+ console. The Track+ console interacts with Android and Apple Apps for an entertaining and motivating training experience. The E1 elliptical cross trainer is also available with the Go console - for all users, who appreciate a simple but attractive functionality. The Life Fitness elliptical cross trainer X1 is a perfect model for beginning a cardio workout and for aiming at higher sporty targets. Being one of the top sellers of our shop, the X1 convinces by its sturdy steel frame build, which ensures a long-lasting cross training even for higher intensities. Like other Life Fitness elliptical cross trainer, the Life Fitness elliptical cross trainer X1 is equipped with the WhisperStride technology. The WhisperStride™ technology uses maintenance-free ball bearings, which generate much less noise and friction and provide a comfortable movement. Besides the excellent movement features, the X1 offers pulse controlled programs and a very small pedal space. Thus a natural pace is simulated. It's especially due to its perfect movement quality and ergonomics that the Fit for Fun awarded the X1 Go the test winner in the category elliptical cross trainer (number 12/2015). The elliptical cross trainer Life Fitness Club Series (CSXH) is the award-winning home version of the popular commercial model with iPod® compatibility. The elliptical cross trainer Club Series (CSXH) is especially designed for home use. The Club Series elliptical cross trainer is equipped with a generator brake system (EN957 conformal). The smart machine thinks of the environment, saves your electricity costs and allows a free set-up. The user generates the required energy throughout the training. The low pedal space and the extra large treads provide the perfect elliptic movement and very high training comfort. 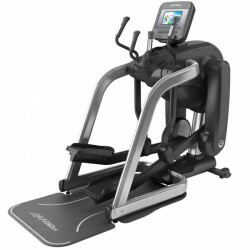 In addition to the valuable functions of the Club Series, the elliptical cross trainers of the Platinum Club Series offer even more entertainin possibilities. The machines of the Platinum Club Series are equipped with a user-friendly Discover console. Two Discover consoles are available: SE and SI console. The Discover console connects via Bluetooth with your mobile device with interactive training tracks, Smartphone as well as LFconnect website and App compatibility. Train more intensively, get direct feedback about important training data and analyse your training success with the motivation programs. The first-class Platinum Club Series machines guarantee a joint-gentle and motivating home training. 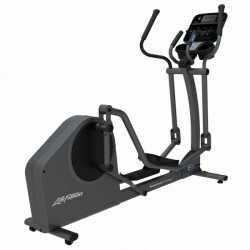 All Life Fitness elliptical cross trainer are environmentally-friendly and are equipped with the energy saver function. Being not used for 5 minutes, the machines switch automatically to the rest mode. The energy consumption is reduced at about 90%.